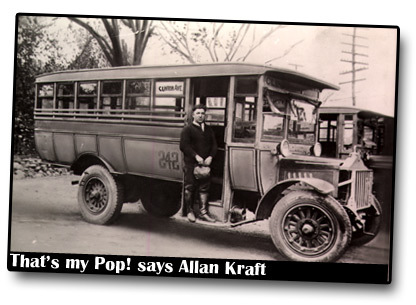 KrafTours is in its 50th year in the Motorcoach & Charter Bus industry, but the Kraft Family actually traces its roots in the business back to 1915, when Louis Kraft built and drove his “Jitney,” one of the first such commercial ventures in the United States. KrafTours is a tour company and an authorized Motorcoach operator and fully authorized Travel Agency. Since 1960 we have been an institution in the travel business serving the State of Oklahoma. our solemn commitment to safety, comfort and travel enjoyment. 2009 represents our 49th year of continuous operation in Tulsa. Kraftours is the oldest coach operator in Oklahoma that has operated under the same management. Safety is our pledge. All the coach operators you may visit will tell you about their safety programs. While we are very proud of ours, don’t take our word for it. We invite all visitors to this site to view our latest safety award from our insurance company, Lancer Insurance. Lancer Insurance is the largest and most selective insurer of bus and coach operators in the United States. All they do is surface transportation insurance. We have been associated with Lancer since its creation in 1985. You can learn more about us and about Lancer Insurance by clicking below. In the same context, we perform many troop movements for the United States Department of Defense every year. In order to qualify for military transportation, a carrier must pass a safety and fitness evaluation at least every sixteen months. Please, follow the link to see the last two inspection reports we received from our military transportation inspections. The best rating a coach operator can receive is a “number one” rating. Here, you can see two, number one ratings awarded to Kraftours for exceptional safety and compliance performance. In fifty years of service, Kraftours has provided transportation for everyone from your neighborhood elementary school to Whitehouse staff memebers, including those of Presidents Richard Nixon and George H.W. Bush. Plan Your Next Adventure with Kraftours!